AHMEDABAD: Rising to deliver his speech at Vibrant Gujarat 2013 summit, chief minister Narendra Modi began in English, not his strength. But the indication was clear that he was addressing global audiences to come and invest in Gujarat. Also, he spoke more about India and India's youth to capture the attention of the investment community. "This century is India's and we will revive the country with the power of the youth," he said adding Gujarat has been less impacted by global problems. "I seek collective action to reverse slowdown," he stressed. The first phase of Gujarat's growth is over and we are ushering into a more dynamic phase, Modi added. 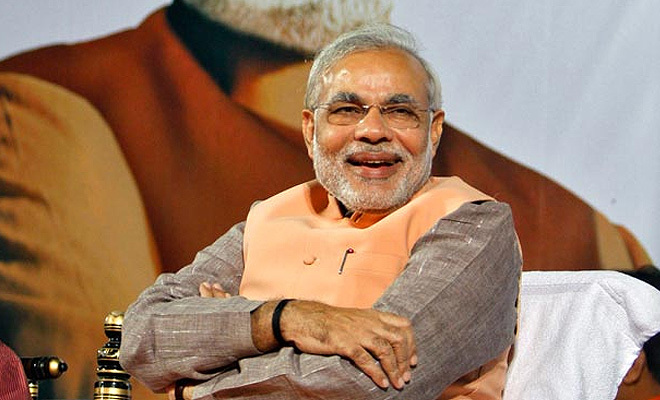 According to Modi the development model of Gujarat has lessons for many developing countries. "Our development model has been recognised internationally and replicated by other states," he substantiated. "It has brought smiles on the faces of millions of people," he added. Modi promised to enhance the income of farmers through the use of scientific agricultural techniques. "We promise Wi-Fi connectivity across the state and will be taking measures to make small and cottage industries stronger," Modi said. Thanking people for giving him the opportunity to serve them, Modi said that he wants to benchmark the state's infrastructure and processes with the 'best' in the world. We will be setting up world class investment regions, he elaborated. "Gujarat is number 1 in economic freedom in India and the country will be rich with the power of the youth," Modi added. Modi went on to promise the creation of 3 million additional jobs through the state's development initiatives and pointed out that Gujarat is the biggest creator of jobs in the country. He said Gujarat accounted for 72 per cent of the jobs created in India and the state had the lowest late of unemployment in the country. Talking about growth of SME sector in his state, he said: "A central official told me India's SME growth rate was 18 per cent, compared to growth rate of 85 per cent in India." Focusing on youth power, he said 65 per cent of India's population is under 35 years of age and by 2020 the average age of Indians will be 29-30. If this youth power is properly harnessed then India can take rapid strides in development, progress and prosperity, he said. He emphasized 21st century will be India's century provided "we build on three pillars of skill, speed and scale". 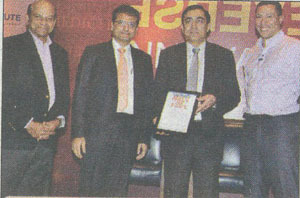 Industrialists and who's who of Indian corporate world gathered at the Summit in Gandhinagar. This time, however, every speaker lauded chief minister Narendra Modi but shied away from joining in the "Modi for PM" chorus. In a big departure from the past summits, none of the speakers, barring Mukesh Ambani of RILBSE -1.21 % and Hari Bhartia of Jubilant Lifesciences, committed investments in the state. The investment sentiment will likely get clear only at the conclusion of the summit. Last time, Gujarat had attracted investment proposals worth Rs 20 lakh crore. 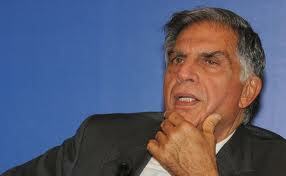 Ahmedabad: It's no secret that Ratan Tata is a big fan of Narendra Modi. But when he rose to speak at the Vibrant Gujarat 2013 Summit, he was all praises for Narendra Modi. "Gujarat stands out better than other states in India and the credit goes to Chief Minister Narendra Modi," he said. The gathering was more than happy to have Tata among them, which was evident by the thundering applause he was greeted with, when he rose to take the centre-stage. He said that Modi should be credited for the achievements of Gujarat in drawing investments. 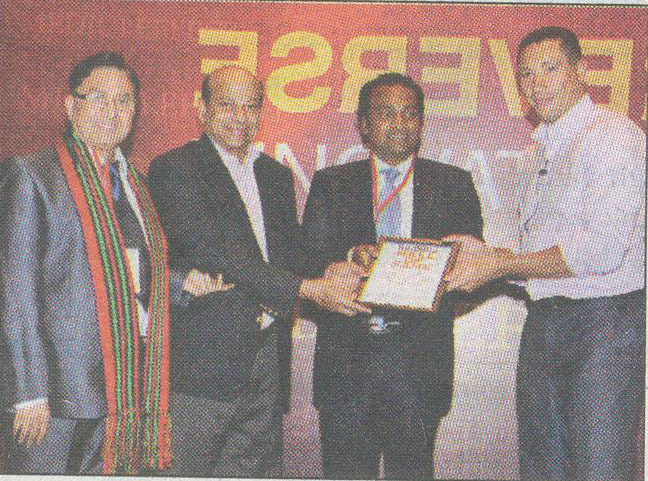 "The state has become vibrant, attractive and new investment destination," he added. Addressing the inaugural function of the sixth edition of the Vibrant Gujarat Summit 2013, Tata Reiterated his now famous, and often repeated, quote: "One would be stupid to not be in Gujarat" and said the group has already invested or committed Rs 34,000 crore in the state. Ratan Tata enjoys a special relationship with Gujarat as he was the one who bolstered industry confidence by bringing his troubled Nano car project to Gujarat in 2008.